Rajasthan Budget Travel– From admiring the ancient forts and palaces to enjoying the Sam Sand dunes, from participating in colorful fairs and festivals to indulge in royalty, Rajasthan has a treat for everyone. Rajasthan, the city of art and culture has so many attractions that you can’t think of as it’s countless. It is the epitome of everything that you would expect to experience in this wonderful country. Remarkable destinations of Rajasthan are Jaipur, Jodhpur, Alwar, Udaipur, Jaisalmer, Bikaner and many more. The pink city Jaipur is a major tourist attraction amongst Indian as well as international travellers. It belongs to the tourist Golden Triangle of Delhi, Jaipur, and Agra. Amer Fort, Nahargarh Fort, Hawa Mahal, Jal Mahal, and Jantar Mantar are the hot favorites among tourists. Udaipur is known as the city of lakes which is considered the most romantic city of Rajasthan. The grand City Palace is surrounded by beautiful lake view where many big names prefer getting married. Now speaking about Pushkar, you will find one and only lord Bramha’s temple in India and the beautiful Pushkar lake. Pushkar celebrates the world famous camel festival and one must try its camel safaris. The Jaisalmer fort is famous for its amazing interior and colorful shades of the setting sun give a fairy tale look to this mega structured fort. Patwon-ki-Haveli is a ten-minute walk from the main gates of the Jaisalmer fort and quite magnificent. It’s a collection of five houses. 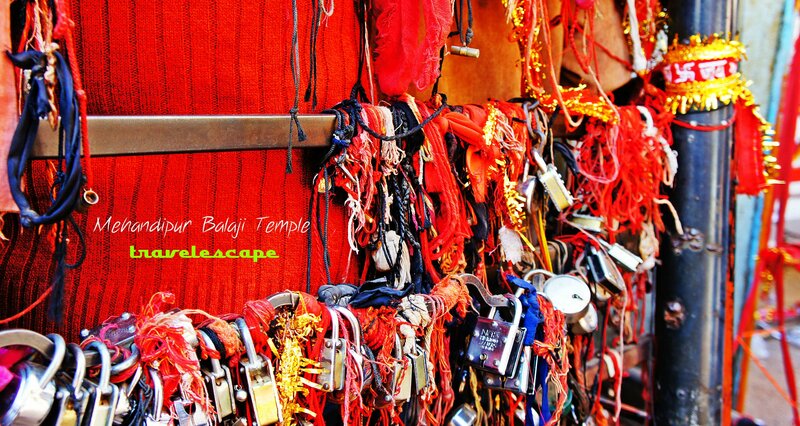 Some other places which you may like to have look on are the Gadisar Lake, Salim Singh ki Haveli, and the Jain temple. Rajasthan is wrapped with beautiful temples as well. Like the one, we have in Ajmer, residence for the great Mughals. Ajmer Sharif is the sacred shrine of Khwaja Moinuddin Chishti where every year many people come & visits for their wishes to be fulfilled. Everyone cannot afford luxury while traveling in Rajasthan and that doesn’t mean you won’t enjoy the trip with a small budget. Just you need proper planning and guidance to make your Rajasthan tour successful according to your budget. For an affordable trip to Rajasthan, you need to cut costs during transportation, accommodation, and eateries. There are loads of hostels in this region that you can choose to stay in. Some of the major towns that you should visit are Jaipur, Jaisalmer, Udaipur, Jodhpur, and Pushkar. Each of these towns has an abundance of hostels so you should not need to book a hostel in advance. You can explore well and chose the kind of hostel you want to stay in. Some of the common and well-rated hostels in Jaipur are Tuk Tuk Backpackers, Zostel Jaipur Hostel, Crashpad hostel, the Jaipur Hosteller, Backpacker Panda, Backpackers Panda Stephels, Blue Beds, Doodle Rack etc. 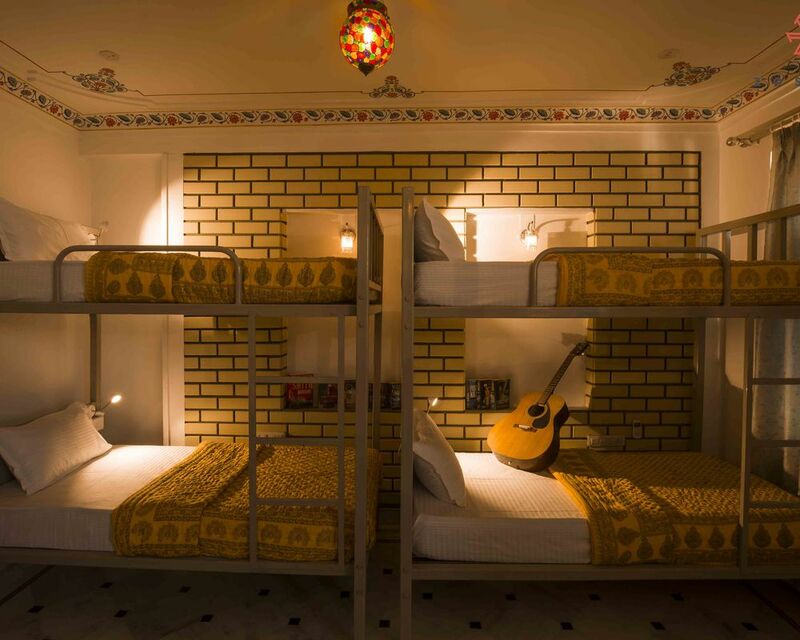 Hostels in Udaipur are Bunkyard, Zostel Udaipur, goStops Udaipur, Banjara hostels, Bonfire Udaipur, Mostache Hostel Udaipur etc. Some of the good hostels in Jaisalmer are Arya Haveli, HosteLaVie, Wonbin Safari Hostel, Backpacker Panda Oasis, Toffu Hostel, Bunk Hostel etc. Hostels in Jodhpur are mostly around the Sardar Market area. There’s an abundance of lassitude stalls and cheap eats in the omelet shops here as well. Hostels in Jodhpur are HosteLaVie, Jodhpur, Moustache, The Madpackers, Zostel Jodhpur, BedPool, Yogi Guesthouse etc. Zostel Pushkar, The Madpackers, Backpacker Panda Chand Palace, Pushkar Bagh, Moustache Pushkar etc are some of the good well-rated hostels in Pushkar. The easiest and cheapest way to get to all of the major sights that you want to see is to hire a tuk tuk driver for the day at a flat rate and get him to wait for you at each place. Accommodations around Jaipur are scattered. The easiest way to navigate your area is to ask your Jaipur hostel where the best restaurants and other amenities are in your area, as this will vary based on your location. The best time to visit anywhere in Rajasthan is from October to February. The majority of Rajasthan is accessible by trains. They can take quite a long time to get from place to place so sleeper trains are a popular method of commuting from one place to another. Tourist attractions in Rajasthan are scattered and one cannot cover all such areas with any public transport. The tourists find a car rental service to be the best option to explore Rajasthan. You can also cut costs in having meals and Tiffin. Some of the cheap eats in Rajasthan are ISOBAR Coffee Bar and Cocktail House, Shreenath Lassiwala, Old Take Away, Hanuman Dhaba, Sanjay Omelet, Kailash Veg Restaurant etc. You can have your tiffins in the streets of Rajasthan. Street foods here are cheaper but delicious and have the authenticity of Rajasthan. Enjoy the marvelous architecture, culture, colors, people, and food that Rajasthan has to offer. It is such a special part of the world and takes quite a long time to explore and experience thoroughly. Udaipur claims to be one of the most beautiful and royal cities of Rajasthan. But that doesn’t mean you can’t plan a trip there on a not-so-royal budget. You can just plan a trip within your budget with proper guidance of where to stay, where to eat and how to manage both time and money and cover maximum tourist places and enjoy the fullest. The best way to get to Udaipur is by train. If you are travelling from Delhi you can take either the Mewar Express which will cost you Rs. 800 (approx.) for return Sleeper class tickets or Rs 2,000 (approx.) for return 3AC seats. Alternatively, you can take the Chetak Express, with approximately the same return fares. If you’re the kind who loves road trips, driving to Udaipur from Delhi is also a good option. For places to visit in Udaipur. First, you can tour the City Palace. The Palace of Pearls, the Palace of Glass and the Peacock Garden all conjure images but you have to see for yourself the decorations that give each palace their name. Entrance fee is Rs 50 per person. If you want to catch the Light and Sound show from 7-8 pm in the evening, it’ll cost you Rs 150 more. Then visit the Fatehsagar Lake. Around the lake, you will find plenty of eateries joints which sell sandwiches, momos, and tea etc. Traditional puppet shows are a must-see at Udaipur, at the Bharatiya Lok Kala Museum. Ticket fares range from Rs 30-40 per person. Boat rides cost Rs 300 per adult, and sunset boat rides cost Rs 500 to Jag Mandir Palace. Udaipur offers some trekking trails as well. Start early like 7 in the morning from Morvanya Village and trek along the amazing landscapes of the forest and mountain valley. “The Udaipur Palace Vintage and Classic Car Collection” should be a must visit place in your itinerary. This museum is a unique private collection of vintage cars from the House of Mewar – the world’s longest-serving dynasty. You must also visit Kumbhalgarh Wildlife Sanctuary, Sajjangarh Fort, Nehru Museum and Karni Mata Mandir. Udaipur is a shopper’s paradise. Go Hathi Pol Bazaar for miniature Rajasthani paintings, silver jewelry, and printed fabric. Now coming to Jaipur, the pink city boasts the finesse of the regal grandeur of Rajasthan and its cultural heritage, architecture, and history. If you are traveling to Jaipur then here are some tips to cut your costs. Shatabdi is one great option for people who want to travel by trains. 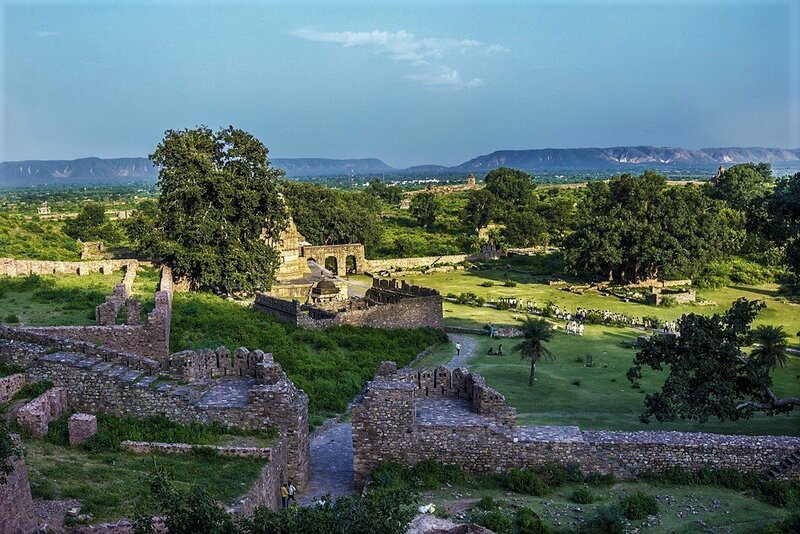 Driving down to Jaipur is not a bad idea if you are staying in nearby states. While Jaipur is a big city and there are various places to stay and have a good time in the city. Treebo Hotels in Jaipur are a very good option for all the travelers looking for a good budget hotel with good facilities and proximity from the popular places in Jaipur. 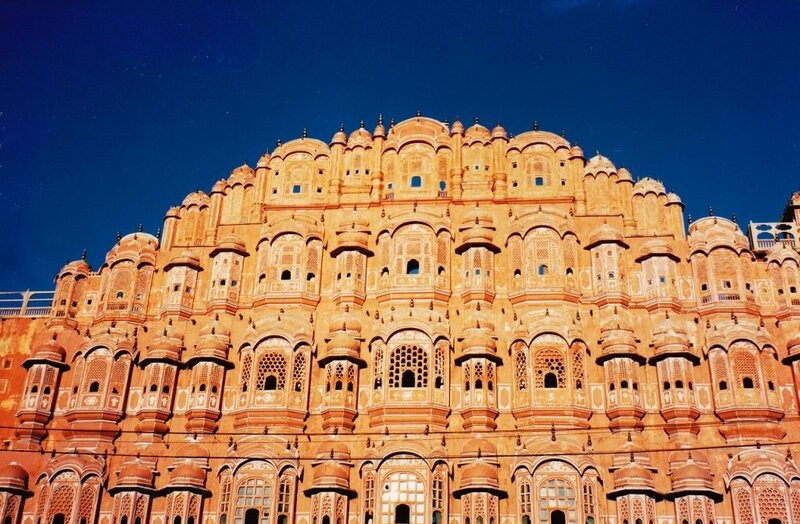 Check out forts and other historic monuments in Jaipur. Some of the must visit places in Jaipur are Amber (or Amer) Fort, Jaigarh Fort, Nahargarh Fort, Jal Mahal, Hawa Mahal, Jantar Mantar, Gatore Ki Chhatriyan, Galta Ji. Awesome and some fine delectable cuisines are found in Jaipur. Some of the cafes and restaurants are Stag Café, Wind View Café, Padao Nahargarh,1135 AD, CCD at Jal Mahal.For local transportation, there are tuk-tuks and plenty of battery operated rickshaws, tourist buses, and cabs. Some of them even give you complete packages of the sight-seeing in Jaipur for a hassle-free travel experience. From silver jewelry, bandhani dupattas, block print bed sheets, traditional Rajasthani handicrafts, Jaipuri quilts to traditional home décor items, blue pottery, meenakari jewelry, and lehariya print apparels; Jaipur is a heaven for the shopaholics. 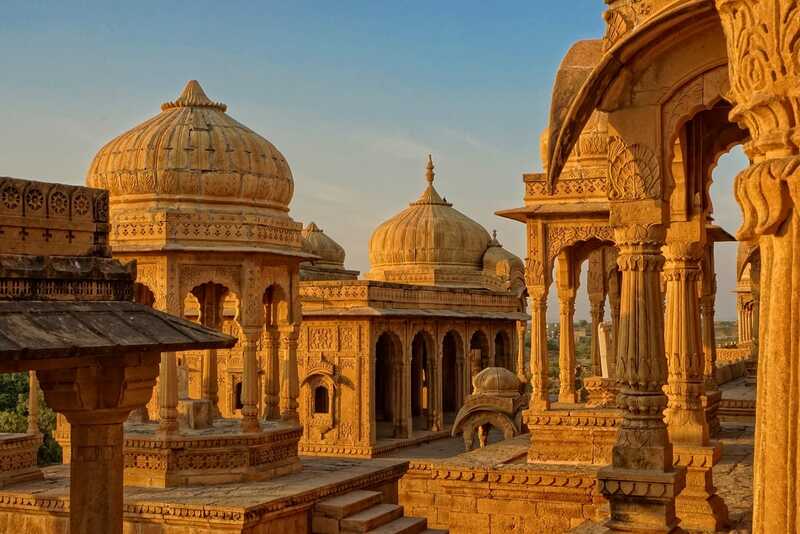 Jaisalmer is home to one of the largest forts in the world. While looking for a hostel in Jaisalmer, make sure that the room is clean and all the lights and fans are working. The rooms in Jaisalmer outside the fort are cheaper in comparison to within the fort. Bordering the desert in Rajasthan, you will find the beautiful town of Pushkar. 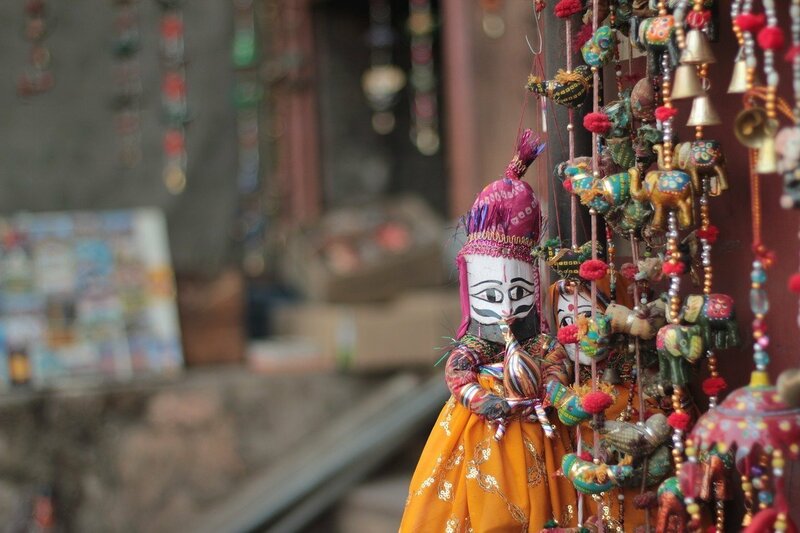 Pushkar is also home to some of the cheapest and best shopping in India. There are loads of markets and stalls here. However, you need to learn to bargain and haggle as well as make sure that what you are buying is genuine. Hostels in Pushkar and other accommodation should be within walking distance of this main shopping area. Most of the good food and restaurants are within this area too. I had started writing as a hobby which later turned into airing my emotions and feelings and now I write for my passion. Starting from participating in creative writing in childhood to writing articles for this site. I have always enjoyed writing. It is something which can be my identity. As a writer, I must say there are no boundaries to literature.